Emotive detail in-between layers of a song are often lost when you use headphones with either a dynamic or balanced armature driver. In attempt to create a more precise listening experience, we placed two drivers into one single set of headphones. This produces a sound clarity across a wider audio range. Bass and mid tones are kept mellow with a dynamic driver, perfect for bringing out the drums and bass. Yet high notes for the main melody retain rich detail with a balanced armature driver. 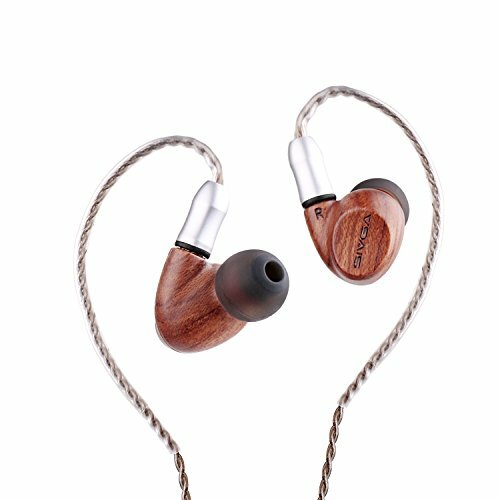 Wood provides world-class sound in the best musical instruments; why not headphones? Our real wood housing provides excellent tonal balance with crisp highs and rich lows. If you have any questions about this product by SIVGA, contact us by completing and submitting the form below. If you are looking for a specif part number, please include it with your message.